To celebrate, we are offering a Valentine’s Day Mini Session on Wednesday 13th and Thursday 14th February. The offer is exclusively for our newborn, baby and family session clients who completed their photo session with us (one full session). The session fee is only £50 and this will go directly to our daughter’s (Fiona) private medical test for her blended feeding diet via gastrostomy tube and raising awareness to help other G-tube children. Our goal is £450, so 9 families required! 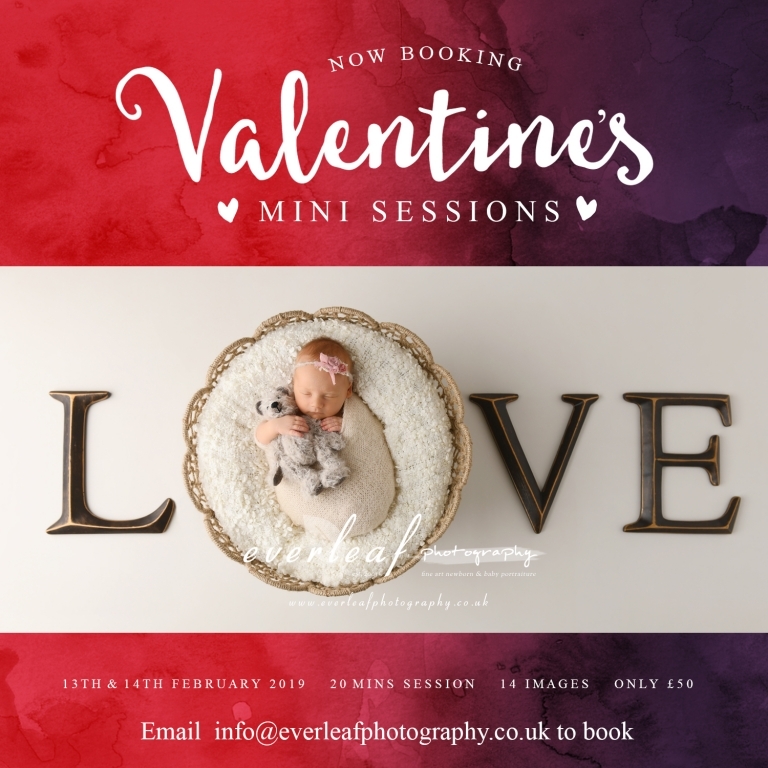 The session fee £50 includes a 20 mins children photo session with adorable Valentine’s Day set ups, including 14 high res digital images to choose and receive on the same day!